Explore, Learn, Have Fun! 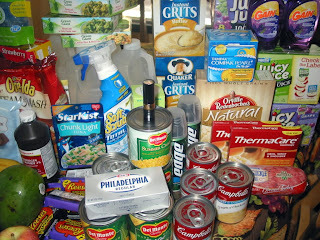 : Great grocery/drugstore trip!! 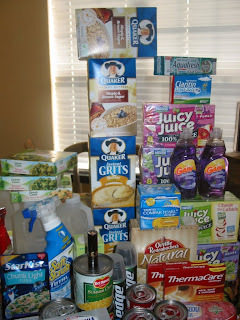 Today I made several quick trips - Walgreens, CVS, Publix & Kroger. 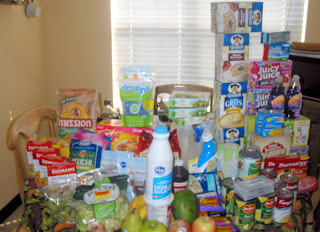 I spent $78.90, but saved $140.98!! I planned this trip out by store last night, using Southernsavers.com. Each store got an envelope with the coupons I would need. I went to Walgreens first, so I could get my Register Rewards and use them at Publix (they accept them as a competitor's coupon!). Then after Publix I went to CVS, then to Kroger last. 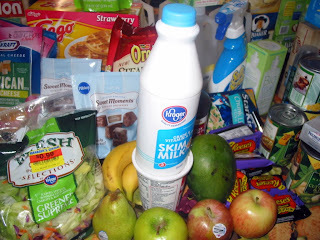 I got some great things - grits, oatmeal & waffles for breakfast, ground turkey for some dinners, lettuce, grapes, apples, pears, bananas, a mango and a bag of salad, 3 bags of Kraft cheese, six 8 packs of Juicy Juice, Claritin, contact solution, Thermocare patches, bathroom cleaner, dishwashing liquid, laundry detergent, two Revlon lipsticks, garlic bread, popcorn, canned veggies, mashed sweet potatoes, and a lot more!! 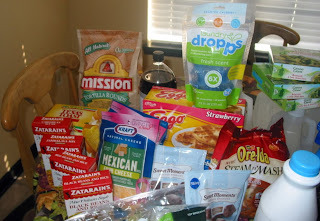 Coupons really help my family save a lot, while still buying the items we enjoy and things that are healthy, too. And lots of splurges -like that lipstick! 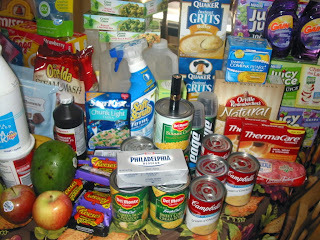 It feels so good to buy well, stockpile, and still be saving a lot of money!! For this two week pay period, I've only spent $148 (usually stay under $200).